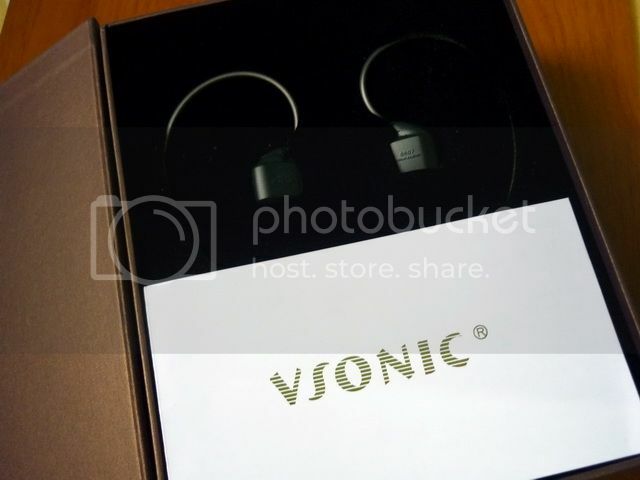 First, I want to thank VSONIC for the sample. 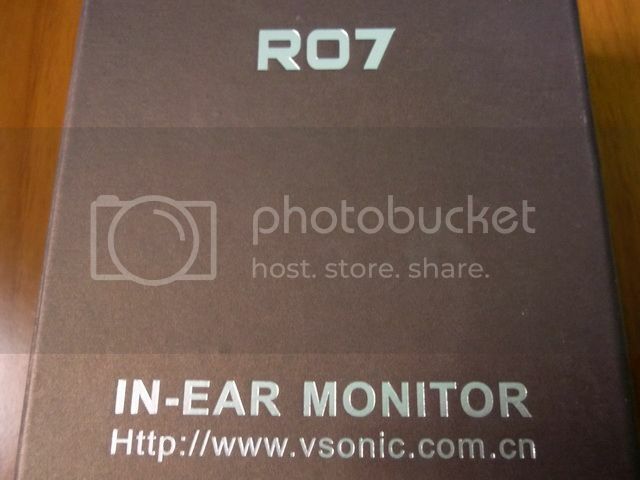 GR07, or originally called the VS-R07 / R07, was officially announced back in late 2008. 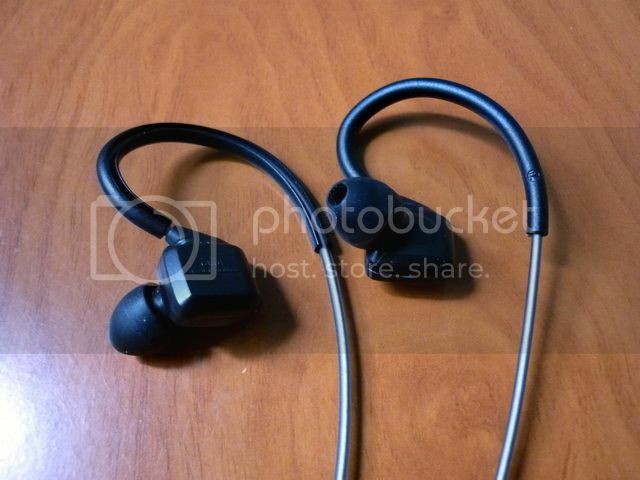 After years of postpone due to unexpected prolonged R&D, the IEM is finally ready for the market at late November last year. According to VSONIC, it took a total of 3 years plus 3 months to bring this IEM from concept to design, development to fine tuning, and finally to a product that represents what the company can proudly refer as their flagship and the best that they have ever made. Personally, I have a little worry in the beginning that GR07 might not be as good as I am hoping it will be. Given that I am slightly disappointed by my previous quick audition of Westone 3 (which also took several years of development), I begin to wonder if a prolonged development could really serve as an indication of a refined product (* and before you asked, I do consider UM3X to be the best of Westone has to offer, at least till I get a chance to listen to the new Westone 4). Also, VSONIC R04, which I do find to be a decent IEM for its price on my previous VSONIC’s review, didn’t quite go beyond my expectation for an IEM that took two years of development. Naturally, I have my reservation of how GR07 is going to be. However, my doubt was cleared the day I received the GR07. It is truly a wonder of its own, worthy to be called not just the flagship of a company, but a top-tier IEM as well. Packaging is consistent to that of R04 – heavy paper box with velvet lining and foam inlay. Classy in a way but not overly fancy. VSONIC is obvious trying to keep the same styling throughout their whole production line. Accessories wise, you’ll get almost all that have been included in the R04 in my previous review and some more. GR07 has three pairs in different sizes (S, M, L), with two different sized of double flanges eartips (small and normal), plus a pair of foam tips. The extra bits since R04 review are the ear guide and hard case (*which I believe have also been included in current R04 as well) - these are definitely very good and useful additions. 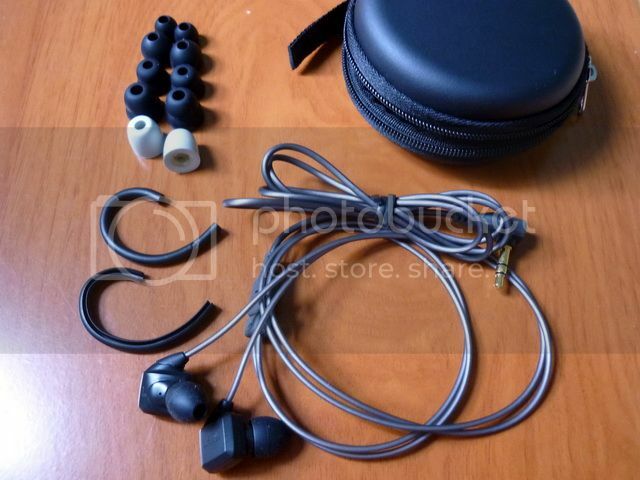 While the ear guides is a good addition, I do hope VSONIC could have used an even softer material (i.e. full silicone plastic). The included eartips are all in very good quality, but I end up using Sony Hybrid clones because I can get an easier fit on them. Build quality is also consistent to that of R04. VSONIC has been keeping a good record on build quality over the recent years, so this is one area I won’t be worrying about. However, in the case of GR07, the same minor issues from R04 still persist – perhaps not much of a ‘quality’ issue, but really a case of being ‘over-build’. First of all the strain reliefs are still overly rigid. Second is the cable, despite being silver cable instead of OFC, is still springy like that of R04 and tends not to want to stay over-the-ear. However, like R04, the strain relief is actually not a big deal because the springy cable actually handles stress very well, so the problems actually resolute by themselves. The inclusion of ear guide basically also fixes the over-the-ear issue. Beyond these, GR07 is a very solid IEM. Microphonics is decently low due to the over-the-ear design and isolation is about average, which is good enough for street use and daily commute. A few things that are different between GR04 and GR07 are: 1) the cable has been upgrade from OFC to silver. The new cable is slightly softer - and I really do mean it is only very slightly softer. However, it is enough for me to notice a small improvement in daily use. 2) GR07 features a different nozzle design, still fully aluminum but seems to allow the metal mesh to be removed and cleaned (though I haven’t tried). 3) The housing is slightly larger on the GR07, but not by much, and I am still getting a good fit without any problem. Of course, the nozzle is still swingable like the R04, so you can adjust the angle for your own comfort. 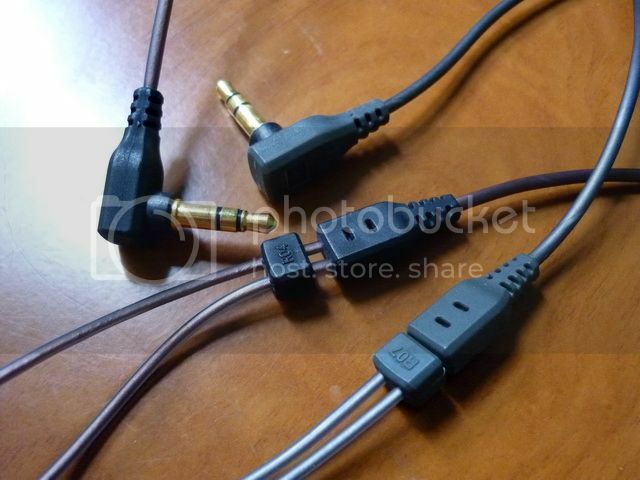 Basic cable and stereo plug design are about the same between R04 and GR07. GR07 (left) and R04 (right). R04 (top) and GR07 (bottom). Notice the nozzle difference. One of the main features of GR07 is the diaphragm. It is a fusion of over hundred of individual bio-cellulose layer, each measured less than 0.001μM. Bio-cellulose diaphragm made its first debut on the portable world with Sony MDR-E888, a flagship earbuds of the company in late 90s. 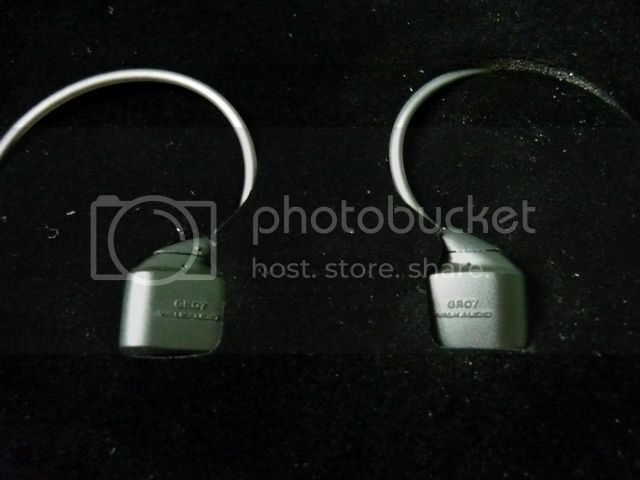 Though not in any direct mentioning in the ads material, it was once mentioned that the GR07’s diaphragm was licensed from Sony - if such is the case, then the only conclusion I would draw is that the bio-cellulose diaphragm has certainly improved since the E888 era. To fully loosen up the diaphragm, the IEM was burnt-in for well over 120hrs (and it was recommended by VSONIC that GR07 should receive at least 100hrs of burn-in before review). Though nothing very dramatic, I do find the treble being slightly smoothed and extended out while the whole dynamic of the IEM improved. So what is the sound signature of GR07? If you already listened to R04 before, then it is not too far away – except GR07 manages to improve on all fronts. It is warm, remains fairly musical while keeping a good end-to-end extension. Treble no longer rolls off at the top. While there is still a very small hint of edginess in the lower treble, it is crisp and extended. It acts more as an accentuation rather than a dominating force, adding detail to the overall presentation but does not stand out by itself. Mid is on the fuller side but not obviously forwarded or as sweet as R04. Instead, it focuses on presenting layers and texture, plus a good sense of space, separation and resolution. Bass is close to being neutral but it has very good impact and depth, especially since sub-bass is fairly well rendered. It complements the mid well but at the same time able to hold up on its own. Soundstage is excellent - though better on the lateral with good separation than on portraying depth, thus not the best there is. As good as GR07 is, it is not a ‘wow’ type of IEM in first listen. The IEM is said to have developed in reference of top quality speaker rig in order to achieve a reference monitor level of sound quality. If that is the case, then perhaps VSONIC has reached its goal. The strength of GR07 lies within its control and refinement on presenting micro detail over the whole frequency range, while at the same time trying to be as natural as possible without stressing the listener. This allows the listener (and often a performer as well) to remain fatigue free in a long listening session while not losing focus on what (s)he is listening. 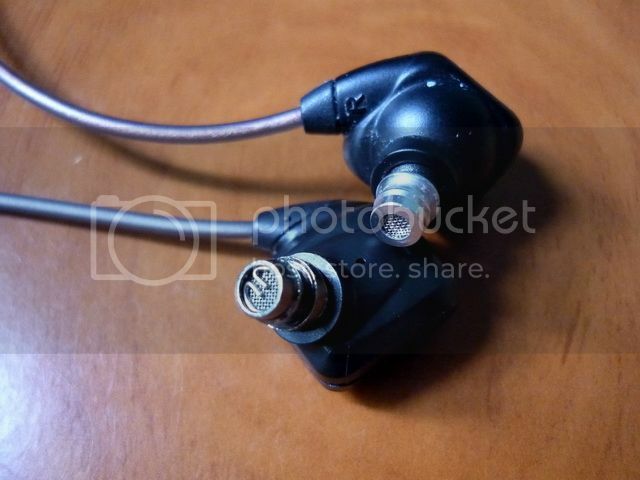 This is what I consider to be the essential quality for stage monitor - the kind of quality I had found on Westone UM3X before, and I find it on GR07 again. Some might regard this kind of sound signature not being exciting enough or even boring, but to me this is where a true IEM is all about, when it can stand up to the challenge of the stage. 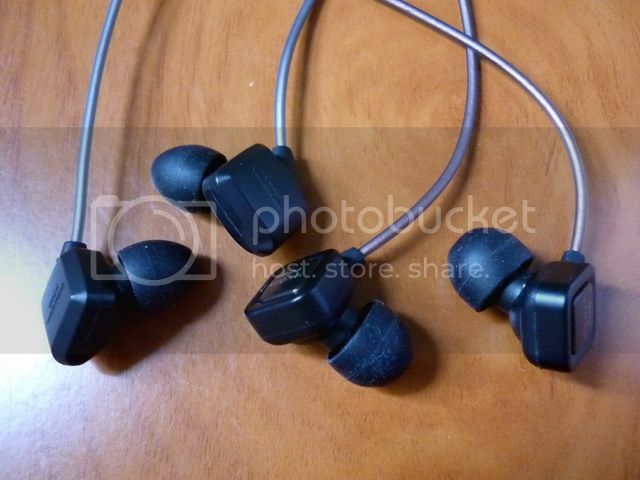 It is being quite an enjoyment over the past few weeks to listen to GR07 in writing this review and without a doubt that this is an IEM that will keep growing on the listener. 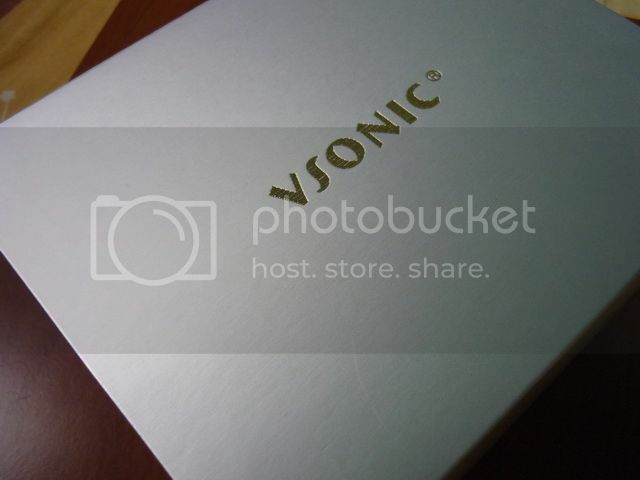 I really have nothing more to add besides congratulating VSONIC for finally bringing a top-tier of its own to the market. The painstaking development and its reward have made me believe that GR07 is beyond just a product, but more of a labor of love. 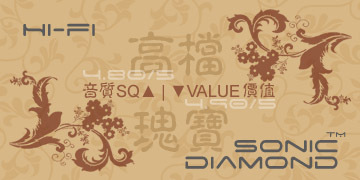 Recommended with a Sonic Diamond 4.9/5 for an outstanding value of US$150 and would have given it a 5/5 if it is easier to find (*international seller is pretty much a non-existence at the moment). Hopefully this review could act as an encouragement for dealers around the world to pick it up, without any inflation of course.